Kubota Construction Equipment Shipping Company. Shipping industrial machinery is a large undertaking. Whoever you hire to do it needs to be well equipped to move such large equipment, well versed in securing them on moving vehicles, and able to keep you updated throughout the move. 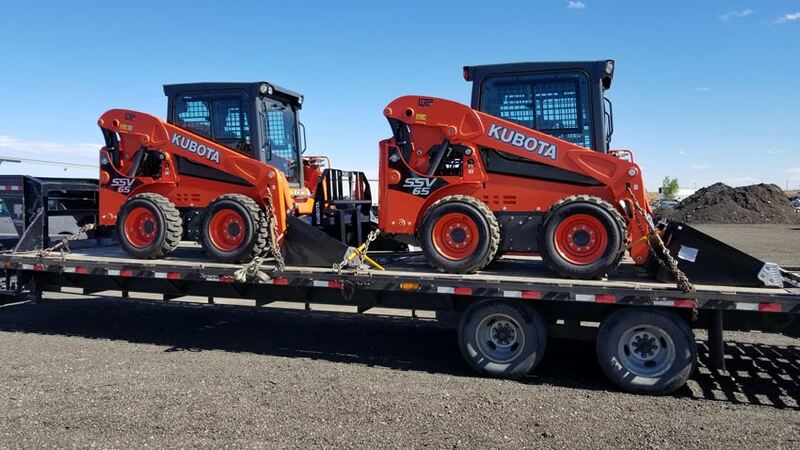 Here’s what you need to demand from any Kubota Transportation service that you hire. When you have your equipment on the truck, you’re then placing all your trust into the driver’s hands. You’re hoping that they will take good care of your item the whole way through the journey. However, how can you know that if they’re out of your sight? Here at We Will Transport It, we understand that you need to know how the journey is going. We’ll stay in contact with you every step of the way. Our drivers keep you in the loop, so you know whether the delivery is on time, safe, and ready to be handed off at the end of the line. On the subject of drivers, you need to know that your drivers know exactly what they’re doing. 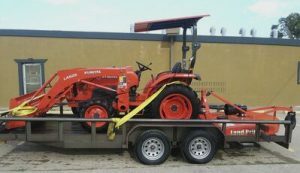 Kubota Transportation Farm Equipment need to be able to safely attach your equipment to their vehicle, transport it carefully, and move it in a careful manner. How do you know your driver can do that? We understand those needs, so we train every driver in the use and transportation of heavy equipment. We also fully insure them too, so you know that you’re covered, no matter what happens. We’ll always show you documentation before you book if you so wish, so you get peace of mind as your equipment makes its way across the country. When you’re looking for quotes for haulers, you of course shouldn’t just take their word that they’re the best around. How can you really know that they’re as good as they say they are? The best way is to find reviews of their business. Looking at independent websites such as the Better Business Bureau is the best place to find honest opinions of their service. We know that, and that’s why we pride ourselves on the reviews we’ve had from our customers. You’ll see they’re overwhelmingly positive, saying that we’re well priced, efficient, and careful with every vehicle that we transport. There’s lots of honest transportation companies out there, but there’s also lots of less scrupulous ones online. When you’re looking for quotes online, Tractor Transport Quotes or Farm Equipment Hauling Quotes, you’ll see that some companies aren’t going to give you an accurate quote unless you part with some money. This is not standard practice, and you should be wary of anyone who does this. Our service is not like that at all. We’ll give you a free quote before we undertake any work for you, and it will be totally under no obligation. Take your quote from us and compare it to other services online. You’ll soon see that we’re offering some of the best prices around, so it pays to go with us. When you’re looking for a Kubota shipping quote, you’ll want a service that takes your machinery the whole distance. Some companies won’t be able to take them all the way, thanks to limitations with their delivery service. This leaves you trying to find another company to transport the rest of the way for you. It’s irritating and it isn’t useful at all for you. We Will Transport It will deliver for you, door to door. No looking for other companies to handle the rest of the route, no surprises when it comes to the delivery of your item. We’ll pick it up from you and then take it all the way to its destination, as easy as that. This will take a lot of worry off you, so you know it’ll get there without you having to do anything else. When you’re looking for a Kubota Transportation company, you’ve got to be looking for these things from them. We can provide everything for you and more, so it’s time for you to get your free quote. You’ll be amazed at what we can do for you.